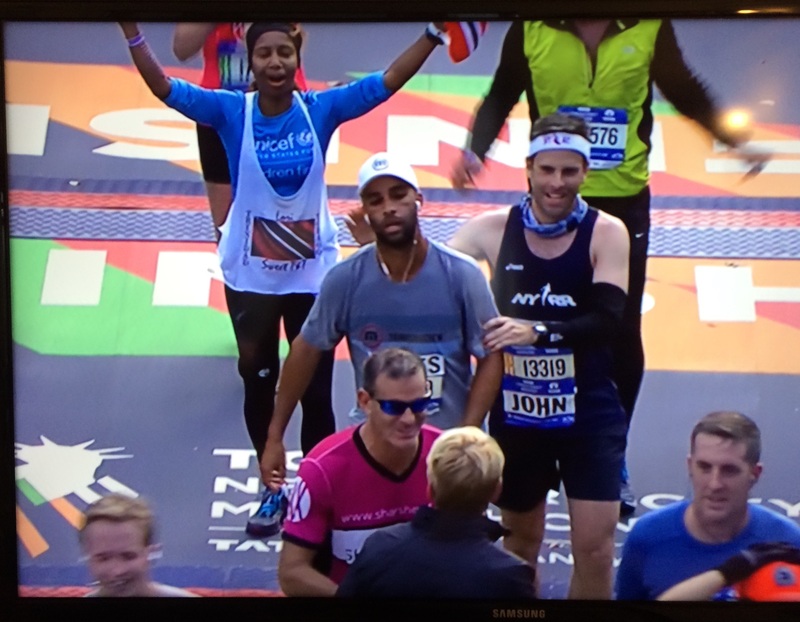 It will be some time before I can talk about the TCS NYC marathon 2015 without some disappointment and frustration. It can’t help that I have immediate proof of its passing in a pronounced hobble that passes for walking and the accompanying pain it produces. This is by no means a pity party as I was fully aware of what I was facing on Sunday gone, but I am one wont to hope and in this instance it didn’t seem to pay off so well. Armed with pain meds, a good breakfast, a night of semi-sleep, my eternal optimism and beautiful weather, I felt I was in a more-than-less good place at 9:50 on Sunday morning. My plan had always been to start with the 3:30 pace group and so I did. We took off amid much fanfare to the tune of Frank Sinatra’s New York, over the Verazzano bridge in Staten Island, a beautiful view for those who took the time to enjoy the magic up there. Thousands of us in wave one ran into Brooklyn, the elite and wheelchair participants some distance ahead. It would be fool-hardy to imagine a seamless take-off, even though that was only a fraction of the race at that time. Inevitably what happened was a persistent dodging and weaving among those of us who were trying to keep pace for about 4 miles while pushing harder to make up for lost time. Around mile 6, I figured to slow down the blistering and unsustainable 7:42 p/mile pace and take the chance of losing the pace team, which I did, and realized I should have done it a whole lot sooner to save myself the angst and energy of weaving through hundreds of runners. For about 10-12 miles of the race we were in Brooklyn, one of the five boroughs of New York and home to the most amazingly diverse mix of people you will ever find anywhere. Brooklynites were on point with their support for every nationality under the marathon sun, they cheered, sang, danced and urged runners on and up 4th Avenue to Atlantic Avenue to Bedford Avenue all the way into Queens. Here we were met by a much smaller crowd but they were by no means any less supportive and did Queens runners proud with their unwavering support and encouragement for all runners. We headed over the Pulaski bridge at around mile 13, the second of the five bridges that make this a tough but essentially scenic, interesting and culturally unique marathon experience that highlights the unique aspects of each of the five boroughs. Mile 16 presented one of the most challenging aspects of this marathon, the ascent of the Queensboro bridge with no end in sight and also no crowds. It turned out to be the longest, lonliest, most silent segment of the entire 26.2 miles. My knees took such a pounding, I honestly did not recall such an experience the first time around, that they almost seized right up when I greeted some friends a couple miles later on first avenue. On the bright side, it is the most thrilling experience to come out of isolation and be greeted with the roars of applause and chorus of cheers that overtook us as we came off the bridge and entered Manhattan’s first avenue. I greedily sucked it in as I’m sure did the other runners, happy to see the crowds but happier still that we were about 8 miles away from the finish. The support and encouragement in Manhattan is an experience you run for; the endless cheers and giving you are showered with along the way from both the crowds handing out everything from candy to paper towels and volunteers with fuel, sponges, fruit and gels. Losing yourself in the crowd is easy here and for a few I forget my quads that feel like they’re in a vice grip and my ankle that has begun to throb like nobody’s business. At any other time I would be happy to cross this “little” bridge but on Sunday the Willis Avenue bridge that took us into the Bronx felt more like the hill from hell and I could feel a steady decline in my pace from there on. Up to that point, except for the Queensboro bridge, I had been keeping a steady 8:10/min mile pace and was only slightly removed from my goal but suddenly it was all about not stopping. The goal shifted from finish time 3:30 to just keep moving as the words “Welcome to the Bronx” was sung to us from a jazz player on the bridge. If the Bronx is known for anything, it is for being the birthplace of Hip Hop, so ideally I would have loved to be jiving along to the music and sounds that we were treated to as we ran along, except that I was totally tuned in to my pain by then and all I could manage was a few grimaces and thanks. And, as if I hadn’t been punished enough, there was a final hill – the Madison Avenue bridge – I sincerely hated all bridges at this point and crawled on; my deternination stronger than ever that I would not stop, not even at the water stations. The cheers continued and carried us back to Manhattan and onto the famed Fifth Avenue, which is a key indicator that there was just about four miles to go. Ordinarily, I would be exuberant at being so close but I was too busy trying to connect with the crowd, anything to not think about my ankle, that I almost missed the turn into Central Park for about a mile. My family perked me up a bit coming out of the park and then it was the final stretch of 59th Street, into the park again, and a sudden burst of energy as I touched Trinidad and Tobago’s national flag on my way to the finish line. I made it in just behind James Blake from the Cancer Research Foundation and was totally humbled to share his struggle if only for a moment. Looking up and seeing the clock somewhere in the vicinity of 1:50 left me feeling mildly surprised as I was convinced I had toiled up 5th Avenue for the better part of one hour; a dead watch and phone did not help. There were numerous thoughts running around in my mind then but more than anything, I felt an overwhelming sense of accomplishment for having run those 26.2 miles, not for myself, but for the children – the cause I ran for. It was that, coupled with the crowds’ encouragement that kept me going when the going was tough. As it is, I do not as yet feel like I have conquered this course; it is for this reason I pledge to do it again. Plus, they say three time’s a charm. I’m counting on it! Every November, here in New York City, we celebrate Marathon Sunday, a legacy of deceased runner and race director of New York Road Runners (NYRR), Fred Lebow. 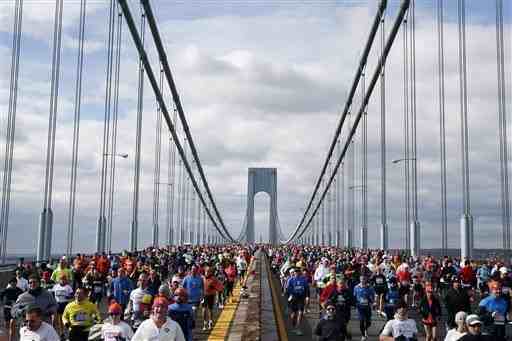 The New York City (NYC) Marathon is a stalwart tradition to NYC runners and New Yorkers alike. Indeed, it has become an event of international standing and is chief among its other counterparts: Chicago, Boston, London, Tokyo and Berlin, which together make up the World Marathon Major Series. The Marathon is now in its 46th year and running stronger than ever with 50,530 finishing last year and 50,000 plus the year before that. This year a strong élite field and many sub-elite and competitive athletes will vie for a place among the top finishers while many others, like myself, will settle for raising money for a great cause, a personal record (PR) and a medal. Still others will be in it for the bragging rights, the glory of running on the world’s premier running stage, to make a statement, or, simply for fun. 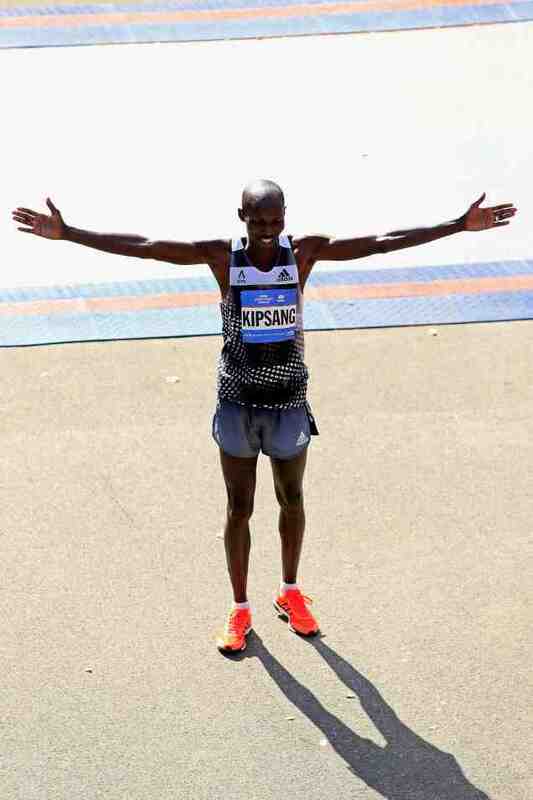 Whatever the reason, crossing the finish line at Central Park will be enough to place you clearly in the shadows of greatness and among the thousands that have achieved the title of NYC marathoner. For months now we’ve trained for this, each race taking us a step closer to what, for many, is the ultimate marathon experience. Two more days and runners, 40,000 plus of them, will stand together on the Verrazano bridge, God’s willing, and seek to conquer the streets of New York; all five boroughs of this great city to the tune of one million plus spectators. I get the buzz; one would have to be severely incapacitated not to, but I’m a bit more tempered in my approach this time around. The first time I ran New York I was facing my first marathon; in two days it’ll be my seventh so don’t mind if I save the excitement for the course, it will serve to fuel my energy on those rolling streets. Also, I’m coming down from a Chicago-high, which leaves New York with a lot to live up to. Even so, I expect a great race and hope to run my best time here on my home soil – so to speak – actually my second home anyway. It will not be easy as this race is nothing like Chicago – no fast, flat course here – but consists of five bridges, lots of ups and downs and turns; New York City Marathon rolls. The offset is the nice weather we have been promised, the tremendous energy from the crowds and the amazing volunteers. 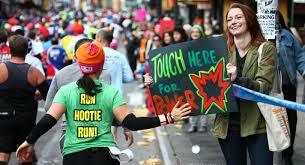 Inspiration abounds on Marathon Sunday and you don’t even have to be a runner to inspire someone. Everyone plays a part in making this race a phenomenal experience for all. You, I know, will be there in spirit if not in person. It’s not everyday you wake up and decide to run a marathon. It’s not everyday you wake up and decide to run 26.2 miles for a good cause. I want to stress that this is not about being a hero or looking for a pat on the back or any such thing..on the contrary, this is about how the sport of running has changed one runner’s single drive for self-satisfaction and personal achievement to a dream of transforming lives one step at a time. Every year I have goals, more notably running goals. Prior to last year all those goals involved me either striving for a personal best or running a particular race or series of races. What has changed and why you may wonder. Well for one thing, I’ve grown; in character and in running and I give a lot of credit to the sport. In an earlier post, I called running my saving grace and it is; it has caused me to take a long, hard look at life, particularly mine and suss out exactly what purpose and who did running serve. After much internal debate and struggle, I came to the conclusion that for running to really matter and serve a tangible purpose, it must speak to my heart for others. Thus, I determined to tie in my passion for serving the lesser advantaged with my passion for running and so the idea of miles for a cause was born. No big fan fare or anything, just a quiet, determined decision to run some of my major races this year for a charitable cause. Enter, The New York City Marathon and the opportunity to make every step count. I’ll be honest, I debated with myself for a long time as to whether I would be able to pull it off – to be sure there’s a part of me that’s not too excited about having to raise a minimum of $3500 – but what cemented my decision was the happenstance of the earthquakes that struck Nepal. What a tragedy, I thought along with the world. Only… wait I can help; I can make this run count for something more than personal achievement. 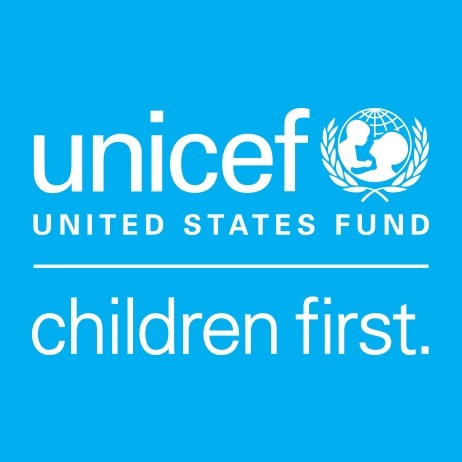 And so, I took a step out on faith and after careful consideration of the charities listed, decided to run for the U.S. Fund for UNICEF in light of all the work they do on the ground in disaster-stricken areas and in particular for children. I was especially touched by their theme this year: Believe In Zero. 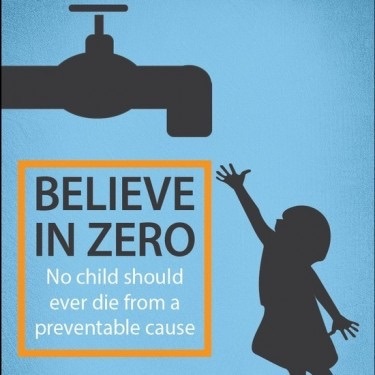 No child should ever die from a preventable cause. I, too, believe that if we work together Zero is achievable. It is my hope that through social networking and other methods, I will not only achieve my fundraising goal but that many will come to know the part they either play or can play in making our world a kinder and better place to live in. That one step at a time it is possible. Click the link below to learn more about and contribute to this amazing cause. How many know it’s marathon season and that no where in the world do you feel it like here in New York City. The way I see it, it begins with Fall and lasts right through November though there is no official advent into what is in fact the most hyped running time of the year. 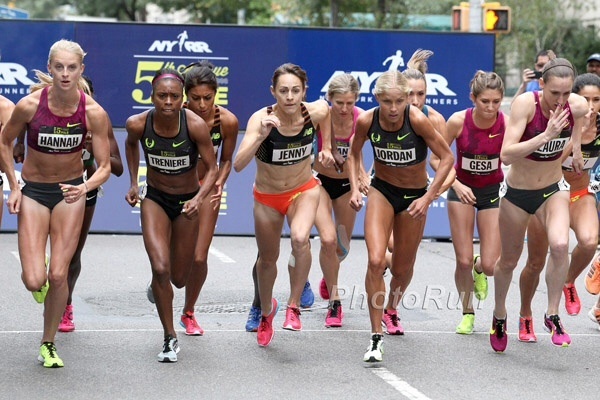 This is due largely in part to the feature running event of the year being held here every November – the newly named, TCS NYC Marathon, a premier running event here in New York and perhaps the world as it is one of the World Marathon Major Series. In fact, it follows the Chicago marathon, which was two weeks ago and the Berlin marathon a couple weeks before that, all part of the Marathon Majors as well. As a regular New Yorker, one can’t help but get caught up in the hype. The city lives and breathes running, its signs are everywhere: at the subway stations, in the shopping centers, the streets, on the air, everywhere. As a New York runner, it’s a bigger deal, with most runners rounding of their year of training with the run of a lifetime here in New York. Of course there are other marathons around this time as well, like the Philadelphia marathon, rock and roll Las Vegas, Marine Corp in DC and the Nike women’s marathon in San Francisco to name a few, and there’re even runners doing more than one of those. In fact, it’s not unheard of to run from Chicago to New York to Philly, not literally of course, but to take on those three marathons in succession. Whatever the reason, there is a whole bunch of running crazy going on; so much so, that you run the risk ..no pun intended..of company each time you go out for a run. Runners are everywhere: the parks, the busy city streets, the relatively quiet neighborhoods, the gyms, the outer boroughs – everywhere. The air is palpable and the feeling is infectious, everyone knows and a great deal care about the marathon. 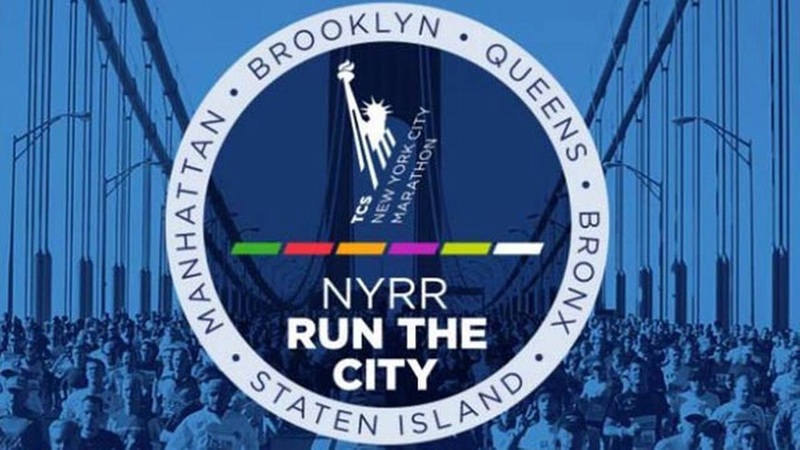 On Sunday November 2, it is expected 50,000 runners will take to the streets of New York City, accompanied and cheered on by thousands of spectators: members of the running community, family, friends, visitors and everyone else. If that is not in essence a celebration then I don’t know what is. How to live here and not be a part of that? You either run, get run over, run out of town..kidding..mostly anyhow, or preserve sanity and health and, in the words of New York Road Runners (NYRR), get your run on. Last year I had the privilege to run amid that 50,000 and what an experience it was. So good in fact, I’m back for more, though not running this time as I had other goals this year. This year I’m part of the spectator/volunteer crowd and think being on the other side should be quite something itself. It’s so cool that last year I ran in wave 2 of the orange coral and this year I get to be an Orange Coral Marshall; in case you couldn’t tell, I’m all about experiences and can I tell you, life is full of them and that is enough reason for living, loving and running. In addition, I’m thick in the midst of all things running because I’m gearing up for Philly marathon on November 23. Training has offered me the opportunity to run all over the city sure, but it has also given me an insider’s view on how enthused New Yorkers are to this whole idea, rage, sport, fad -call it what you will- it’s real and like I stated above, likened to being caught with a bug, fever and all. Whether it’s 6am or 9pm makes little difference to runners out here, only the rain can cause a decline in their presence and even so temperatures must be low. As the marathon draws near, a week and a half away to be exact, a lot of runners are tapering down as training is pretty much done for this event, though I imagine the ones that are out there are just maintaining form now while others like myself are looking to the next run. In any event, that’s my rationale for the many I see daily on my runs in and around this fevered-marathon city. You can tell I love it here right..I’m the very biased, not-so-subtle aspiring New Yorker.